Metal roofs are popular due to their durability and longevity. Many homeowners and offices prefer metal roofing over their head. Due to availability of style options, it is possible to fit them into different establishment designs. We are a full service roofing company specializing in the construction, repair and servicing of metal roofs. Using modern techniques and high quality raw materials, we provide metal roofing solutions across different budgets. Our experts take care of everything from concept to installation. Metal roofs can survive extreme climate conditions from rainfall to snowfall and warm temperatures. Similarly, they can remain stable and tough in high intensity hurricane conditions. More often, the metal roofs are quite durable compared to other roofing materials and reliable enough to last a lifetime. For any given architecture including homes, schools, office buildings or warehouses, we have metal roofing solutions. Our friendly professionals are more often available to help you even after a successful installation. We can offer you with different choices including aluminum roofs, steel roofs, copper roofs, galvalume, etc. Metal roofing materials are known to outperform the classic materials such as asphalt shingles. Their extreme longevity and long term performance makes them useful for all kinds of materials. There are a number of colors and finishes available to get the desired look for your home. The sophisticated look of a metal roof invites the envy of neighbors. We can help you to customize the look of your metal roof to that extent. Energy savings, durability and good looks make sure the roof is all set to brighten your life. 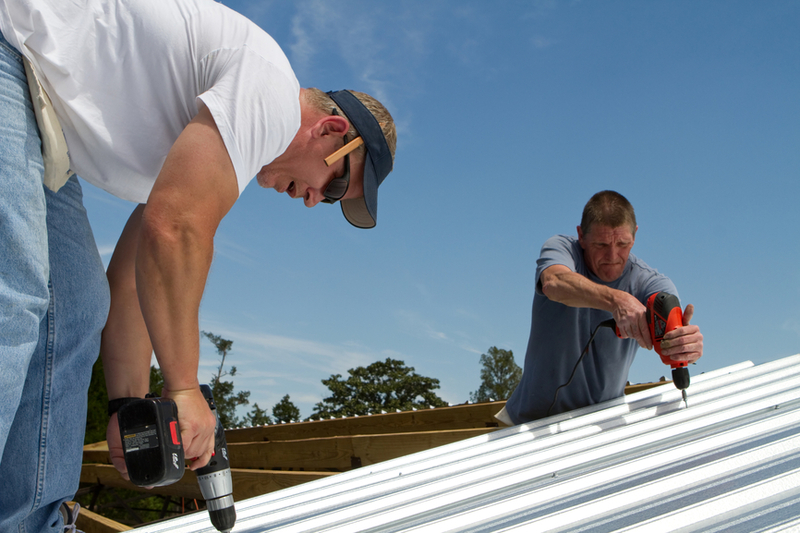 The products used for metal roofing are constructed with a huge percentage of steel materials and recycled aluminum. Outer coating can prevent up to 80% of solar energy against being absorbed. As a result, they are capable of reducing roof surface temperatures by up to 70 degrees in some cases. Made up of light weight raw materials, they are very convenient for use. These roofs are less heavy compared to concrete roofing and asphalt shingle roofing systems. At the same time, there is hardly any fear of lightning strikes or heavy snowfall. Metal roofs are aesthetically pleasing that enhances the appearance and value of commercial and residential establishments. They can also act as a suitable platform for the installation of solar panels While getting a metal roofing installed for your establishment, it is important to hire the services of a reliable provider. We have spent many years in this field and know what works and what doesn’t work. If you’ve already decided to spend money on installing metal roofing, we are just a phone call or email away. Irrespective of your metal roofing needs, you can rely on us to get the job done without any hassle. Repairing, replacement, inspection and remodeling, our professionals are qualified with necessary skills to take care of everything. We are a dependable service provider ensuring top quality products and consumer oriented after sales service. Look no further Hamilton Roof Pros to achieve the perfect metal roofing you’ve been looking for.